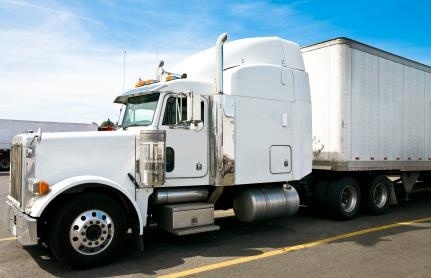 The Federal Motor Carrier Safety Administration (FMCSA) implemented the new Electronic Logging Device Rule to help create a safer work environment for drivers and make it easier and faster to accurately track, manage, and share data. An Electronic Logging Device (ELD) is technology that automatically records a driver’s driving time and other hours-of-service (HOS) data. This allows easier, more accurate HOS recordkeeping. An ELD monitors a vehicle’s engine to capture data on whether the engine is running, whether the vehicle is moving, miles driven, and duration of engine operation (engine hours) as well as the date, time, and vehicle location information. By December 18, 2017, all carriers and drivers subject to the ELD rule must use either an ELD or an automatic on-board recording device (AOBRD) that is compliant with existing regulations. AOBRDs may be used until December 16, 2019, if the devices were put into use before December 18, 2017. Starting December 16, 2019, all carriers and drivers subject to the rule must use ELDs. The ELD Rule applies to most motor carriers and drivers who are required to keep records of duty status (RODS). This includes trucks, as well as commercial busses. It also applies to drivers domiciled in Canada and Mexico, unless they qualify for an exception to the rule. Contact a Knowledgebroker at R&R or visit the Frequently Asked Questions page on the FMCSA website for complete information about the ELD Rule. Are your driver qualification files ready for inspection? Are they meeting all federal regulations? We advise to keep the items only as long as “legally” necessary and to implement a purging schedule. Click here for additional trucking resources. 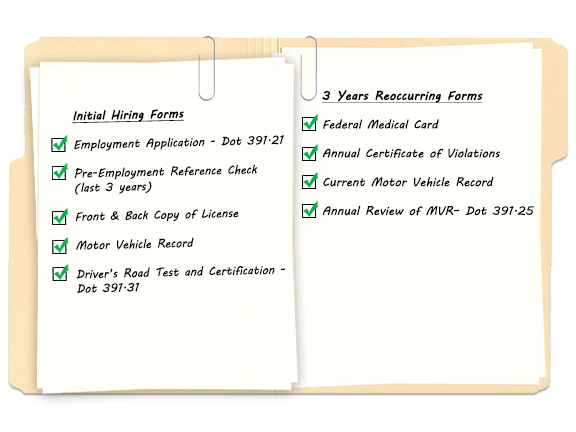 A motor carrier with a DOT number is required to update information with the FMCSA (Federal Motor Carrier Safety Adminstration) every two years. This is achieved by updating the MCS-150 information. The key is the last two digits of the motor carrier’s DOT number. Two areas that must be updated are the number of power units and the annual miles. If a motor carrier has not done so, then they are “flagged”. This means they are now on the DOT Watch List, which could lead to a visit by the DOT. 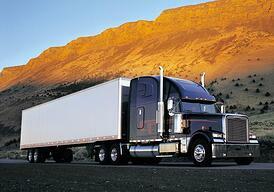 Did you know that the freight dictates if you are intrastate or interstate? It is in the paperwork. Example #1: If the pallet is processed in Wisconsin and delivered in Wisconsin but is for a company in another state, it is interstate. Example #2: A widget comes from overseas – paper work is for delivery to a specific person/customer in Wisconsin - it is interstate. However, if the company buys to stock at their warehouse in Wisconsin and the specific person/customer buys from them later and is in Wisconsin – It is intrastate even though it came from overseas originally. What is the advice? 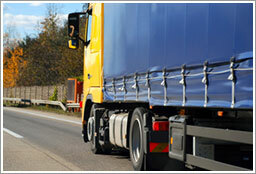 Motor Carriers should declare they are interstate so they are always in compliance.